Discover classic, designer, or eternity wedding rings. Symbolizing never ending love, an eternity ring is the perfect gift for anniversary or as a wedding ring. 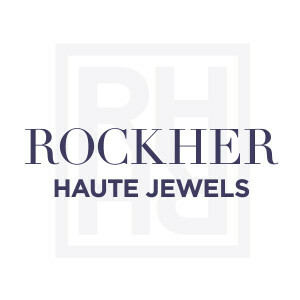 RockHer only uses recycled gold and platinum. Why? Metal mining can often be destructive to the environment and harmful to the communities around the mines. Choosing the right wedding ring is an important decision. Your engagement ring represents your promise to marry. Your wedding ring represents your vows themselves. Whichever band you choose, RockHer knows how to make a couple love their purchase. Our helpful diamond experts are always here to help you find the best ring to take your vows for now and forever.